queenshill lodges Set in the rural heartland of Dumfries and Galloway near Castle Douglas, our delightful cottages enjoy splendid views of grassy hills, woodland and wildlife. 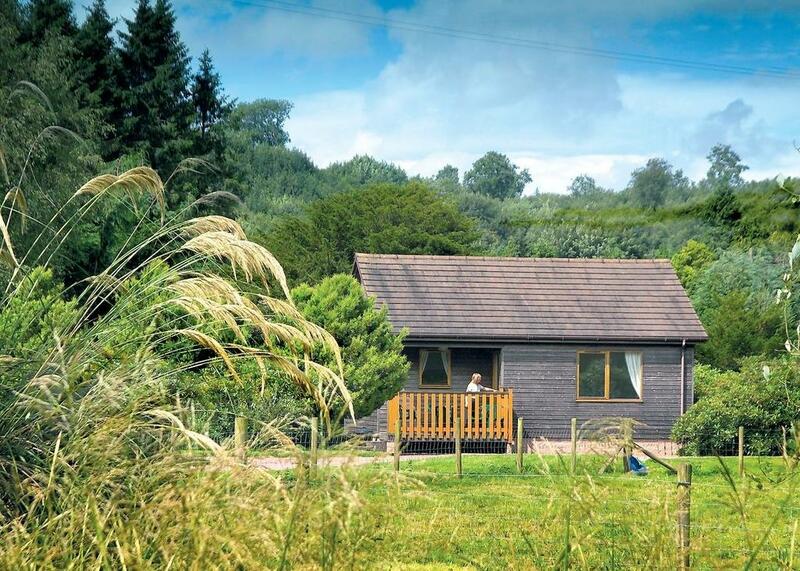 Sharing this idyllic setting are our holiday lodges, which offer an equally relaxing option for families and friends. Our visitors are welcome to wander through the grounds of the estate, which include our walled garden. There's a grass tennis court, a croquet lawn and fishing on our private beat on the River Tarff. Farm tours, walking routes, pony trekking, coffee shop and farm shop selling fresh local produce are all close by at Barstobrick Visitor Centre - also on our estate. Located in Bridge of Dee, Queenshill Lodges provides accommodation with a kitchen. Free WiFi is featured throughout the property. Peacefully positioned, well equipped and fully insulated, these timber lodges offer you first-class accommodation within natural surroundings. Open plan lounge/dining/kitchen, 2 bedrooms, 1 double and one with single or bunk beds, shower room. An oven, a toaster and fridge are also available, as well as a kettle. Dumfries is 21.1 miles from the holiday park. Glasgow Prestwick Airport is 46.6 miles from the property. The name 'Queenshill' is said to derive from the fact that Mary Queen of Scots visited the area and indeed Queen's hill itself of course, in 1563 during one of her famous 'royal progresses.' 'Progressing' through her kingdom as she did on may occasions when she carried the throne to many different parts of the country, was a rare thing that most ordinary people longed to witness. Record has it that she charmed all who met her. In the early 19th century, the estate became the home of Colonel Walter Montgomerie Neilson, son of the late James Beaumont Neilson, Esq., the celebrated inventor of the 'Hot-Blast.' Not as strange as it sounds! James Beaumont Neilson was a Scottish inventor whose hot-blast process greatly increased the efficiency of smelting iron. This significantly reduced the amount of coal required to make iron, and increased production, meeting the demands of the burgeoning railway and ship building industries. Neilson struggled through the courts, to defend his patent and to license his invention but ultimately succeeded and became very rich. He died on Queenshill Estate. His son, Walter Montgomerie Neilson, erected the monument to him - a spectacular local landmark.